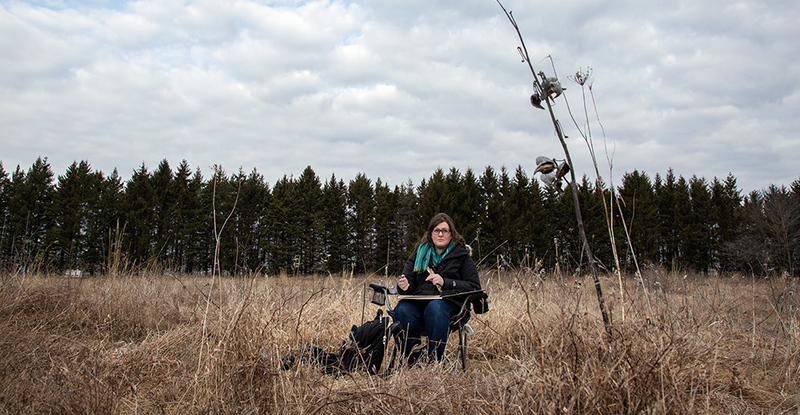 Brooklyn Henke is one of 12 artists participating in a year-long residency program called ARTservancy, a collaboration between Gallery 224 in Port Washington and the Ozaukee Washington Land Trust. Each artist has selected an OWLT preserve to spend time in and to engage with. To read more about the artist in residency program, click here. 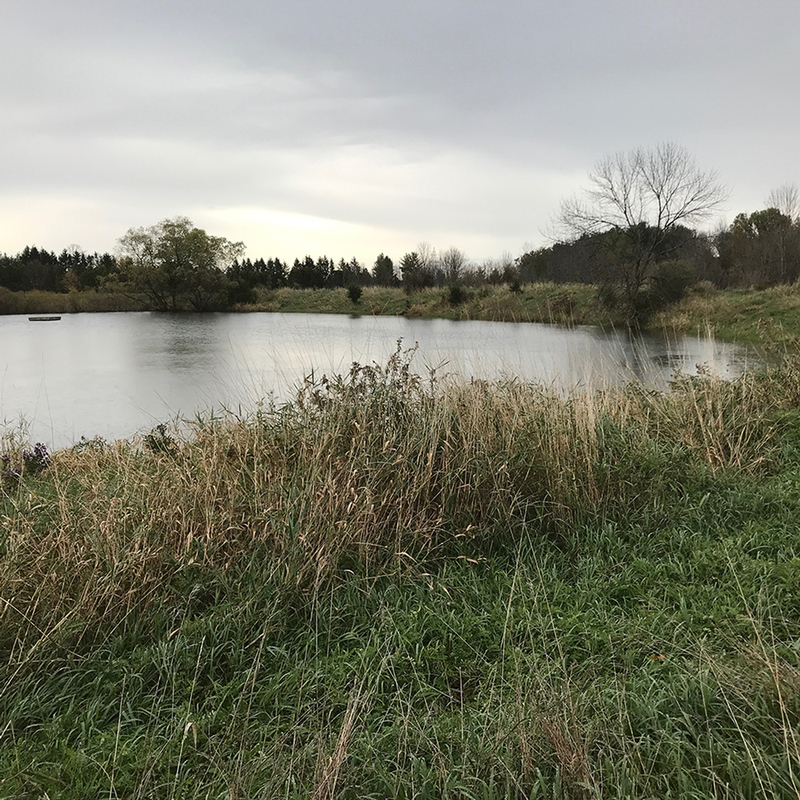 The last few years I have become exceedingly interested in the ecosystems of Southeastern Wisconsin—from battles with invasive species and (through stewardship methods) recovering native wildflowers and grasses in our own backyard to the Spirit Lake site, which is recovering from agricultural use and being cared for by a diligent team. Ecological connections, native wildflowers, and pollinators greatly interest me. The movements of season, natural emergence, growth, and the natural fall propagation of species drive my work. 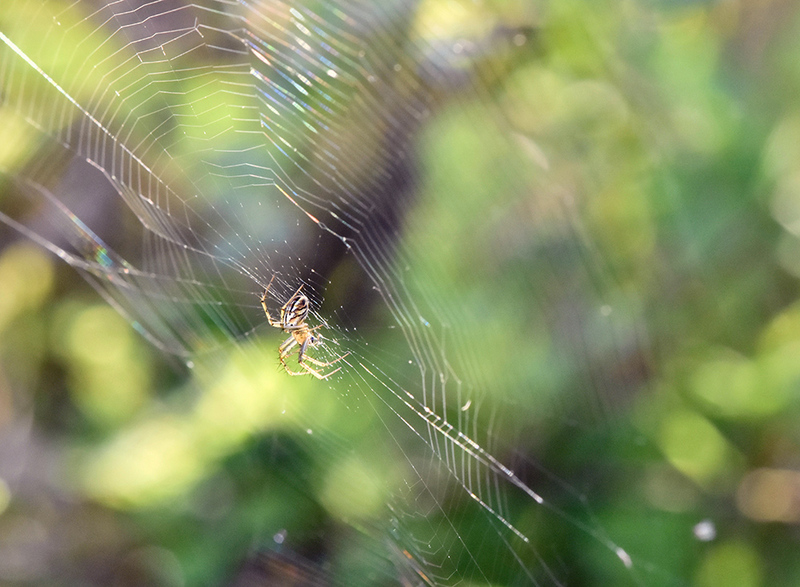 I am curious about small interactions that serve as microcosms of life: being inches away from native flowers and visiting bees, wasps, spiders, butterflies, caterpillars, and dragonflies; seeing their eyes move with fluctuating awareness or interest in my presence. 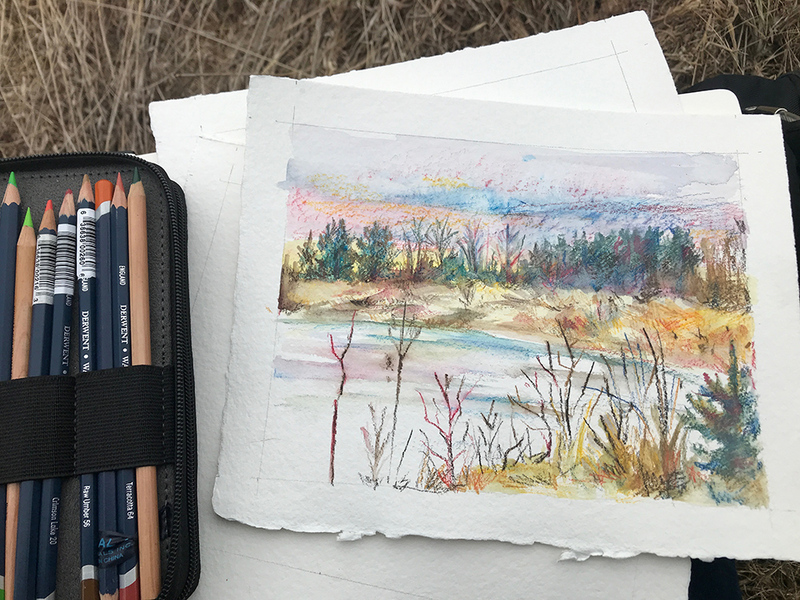 The ARTservancy program has come at a serendipitous time and has aligned naturally with my artistic and personal interests in natural spaces, the cycle of seasons, and land stewardship. 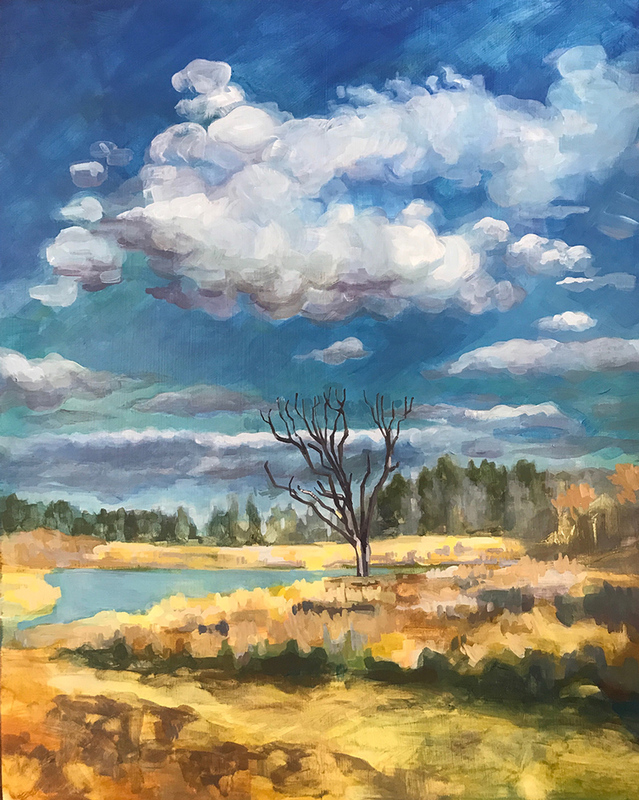 As we are presently at the precipice of Spring, I am filled with excitement and anticipation about what I will find on the site, the parallels between Spirit Lake and my own home, and working directly from life and in the studio based on these discoveries. 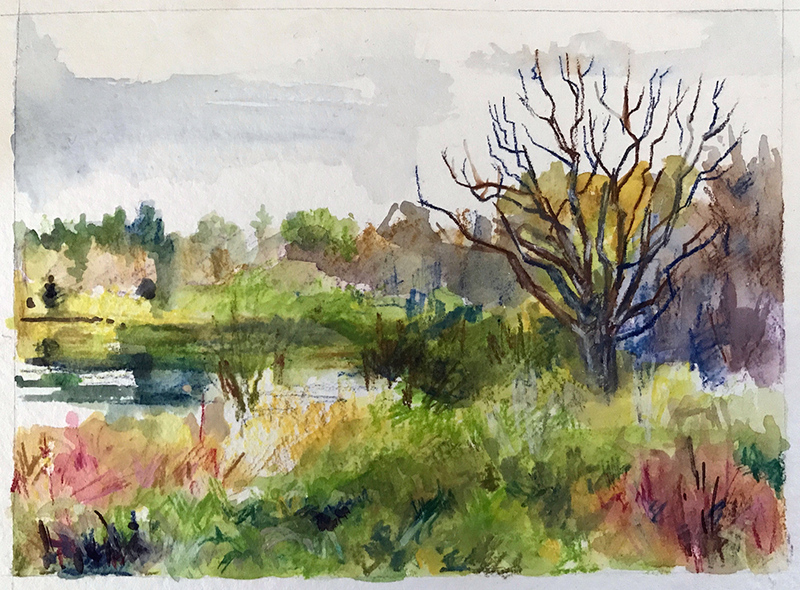 I am an instructor at the Milwaukee Institute of Art and Design and strongly believe in one of the underlying methods of guiding and teaching art: to know what you draw, paint, or design; to inquire and research through creating. I have also started making work directly linked to scientific illustration—to accuracy and specificity—and joined the American Society of Botanical Artists. Through my studies and explorations, I have recently been reading into the adventures, collections, and drawings of John Bartram and William Bartram in the 1700’s. The American Society of Botanical Illustrators created an amazing catalogue (2015) of works by current botanical illustrators who have been impacted by the Bartrams, called “Following in Bartram’s Footsteps.” I am very excited for the Spring season and emergence of native species to follow my inspiration from these works through to this project. I have been working on loosely rendered landscapes both onsite and in the studio based on photographs and experiences of Spirit Lake. 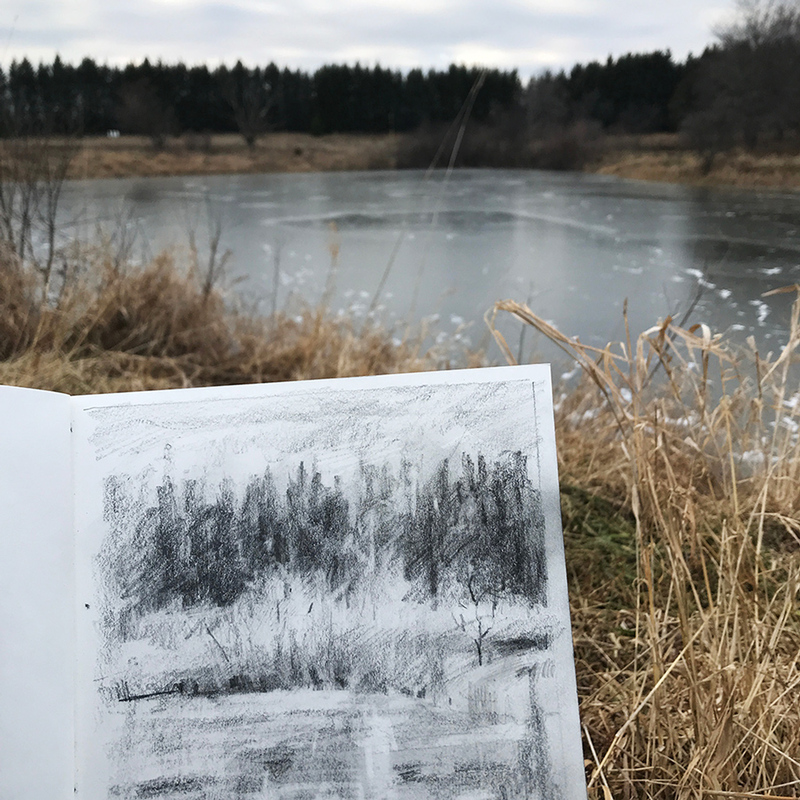 The beautiful golden tones of the grasses, punches of red-osier dogwood, and echoes of the winter sky upon the surface of the frozen lake provide easy subject for drawings and paintings. 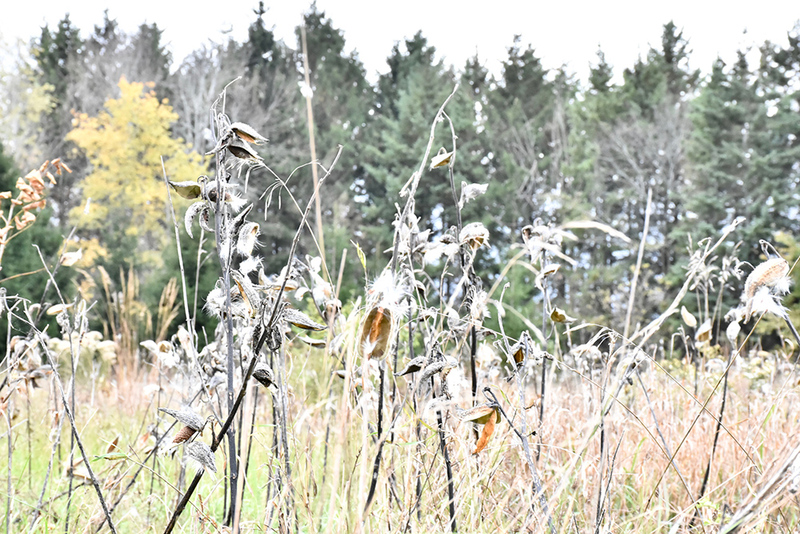 As the weather warms, I eagerly anticipate further site visits and the changing of the land as the ochres and gold of hibernating grass and plants turn to electric green. In addition to being given the privilege of working on the Spirit Lake property through ARTservancy, I am also doing design work for the ARTservancy artists: postcards, a pamphlet, and hopefully a catalogue for the show in September 2019. This work has been tremendously exciting! To see the other OWLT sites through the lens of each artist, and bringing the work and artists together as part of the wonderful ARTservancy program is something I feel fortunate to be a part of. Brooklyn Henke is an artist, illustrator, designer, and art educator living and working in Wisconsin. She earned her undergraduate BFA in Painting from the Milwaukee Institute of Art & Design and her MFA from the University of Wisconsin-Milwaukee. She has taught at UWM, Alverno, Marquette, and is currently a full-time faculty and First Year Experience Coordinator at the Milwaukee Institute of Art & Design. Brooklyn’s murals can be seen at the Milwaukee Public Museum and the Northwest Quadrant at UWM, and her work is in collections around the world. 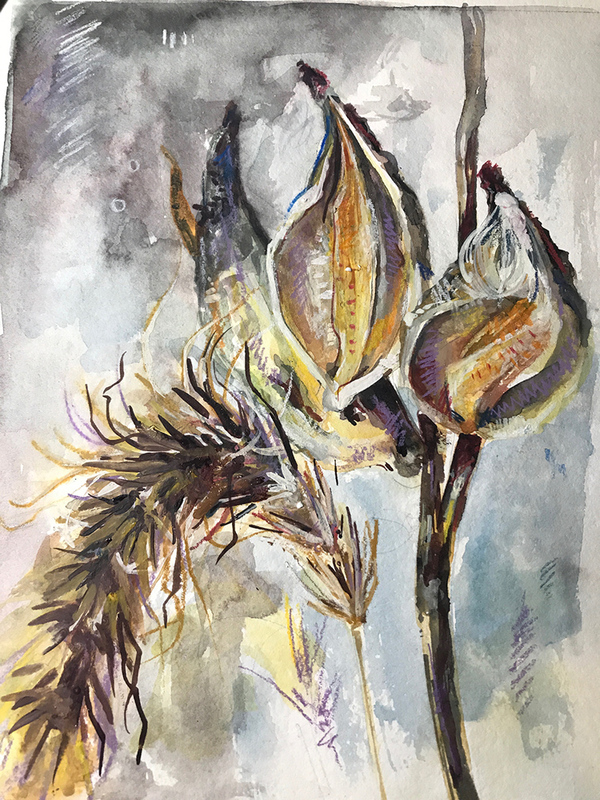 She is a member of the Guild of Natural Science Illustrators and the American Society of Botanical Illustrators, and is interested in documenting and creating meditations on the natural world. Brooklyn values curiosity and exploration of nature, and loves to share this interest artistically and experientially with her partner and their 3-year-old son, who loves frogs and fungus almost as much as she does. 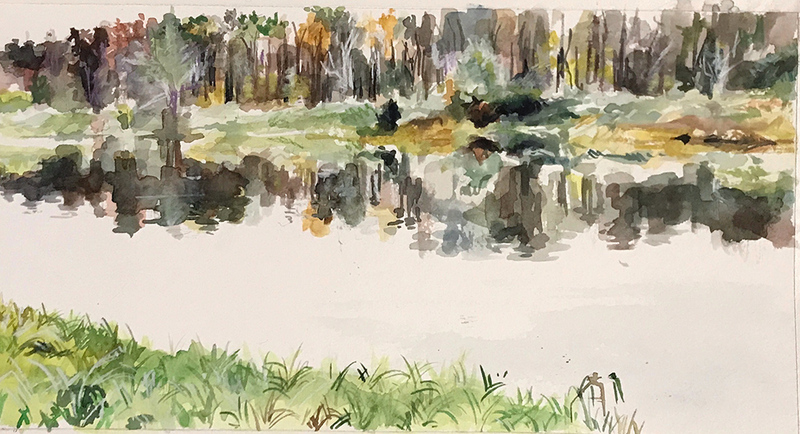 Along with drawing, painting, and creating in traditional and digital media, Brooklyn is also interested in land stewardship and native Wisconsin ecosystems. She plants native wildflowers and sedges, then documents and draws the relationships between insect, bird, and wildflowers with a tenacious fervor. Learn more about Spirit Lake Preserve here. This is the latest is a series of featured artists in The Natural Realm, which is intended to showcase the work of photographers, artists, writers and other creative individuals in our community whose subjects or themes relate in some broad sense to nature, urban nature, people in nature, etc. To see a list of previously featured artists, click here. An exhibit of the work of ARTservancy artists in residence is scheduled to open at Gallery 224 in September 2019. All images courtesy of the artist, except as noted. Featured photo of artist at work at Spirit Lake by Eddee Daniel. 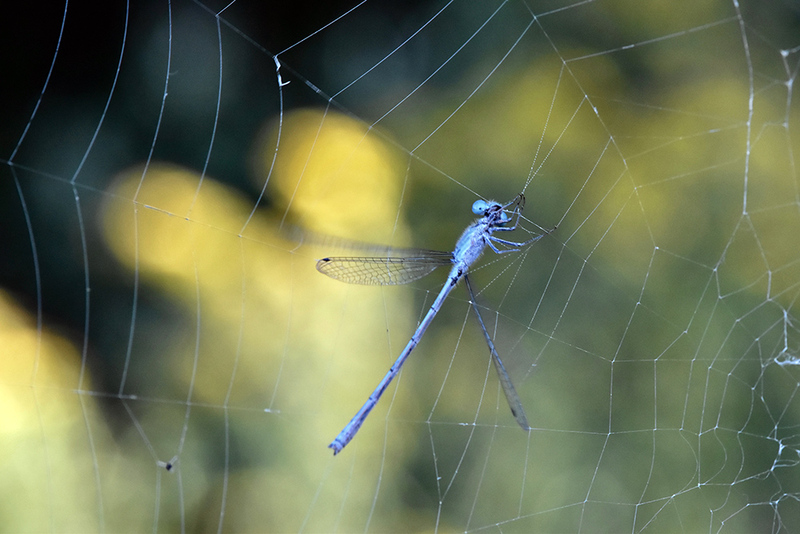 Eddee Daniel is a Milwaukee-based photographer and curator of The Natural Realm.